United Airlines plans to operate nonstop three-times weekly flights between New York/Newark and Cape Town starting in December 2019. Home to Cape Town’s limitless business potential and investment opportunities. Why Invest in Cape Town? Cape Town’s boatbuilding exports grew by 20.54% year on year since 2014. City welcomes the Miami-Dade County business delegation. Cape Town’s strong skills base enables it to be flexible, responsive and innovative in response to ever-shifting demands of the electronics sector. The #YouthStartCT competition is back and the City of Cape Town wants you to share your best entrepreneurial ideas. Young entrepreneurs can win prizes, training and mentoring to help bring their idea to life. In 2018, South Africa was named ‘Offshoring Destination of the Year’ at the Global Sourcing Association (GSA) Awards. Cape Town accounted for 55.3% of the total number of new jobs created in 2018. “Africa is a continent with big consumers. Here’s a huge market,” tells supermodel Naomi Campbell attendees at the Condé Nast International ‘Nature of Luxury’ Conference in Cape Town. 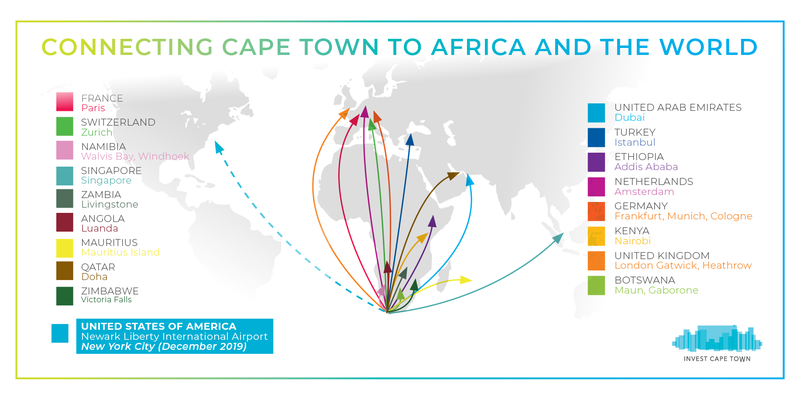 The Cape Town Air Access initiative has helped land 8 new international airlines, 13 new direct routes & 19 route expansions, resulting in more than 1.5 million two-way seats being added into the Cape Town International Airport, boosting the local economy by R6bn. The Miami-Dade Beacon Council hosted Invest Cape Town during a business roundtable in Miami. They talked about investment opportunities in Cape Town and exchanged knowledge. 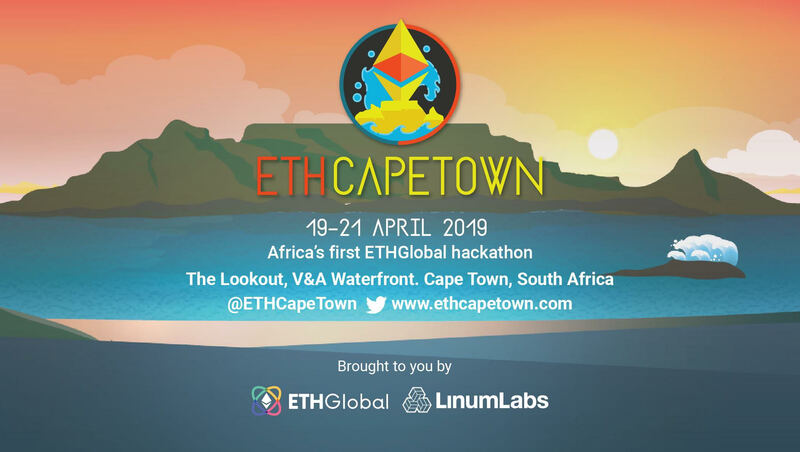 Cape Town has a sophisticated, diverse and dynamic economy, and is a regional hub for entrepreneurship and innovation. Globally, the city ranks among the world’s top destinations to visit and has all the attributes that appeal to people looking for a great city in which to live, work, play and invest. We are national leaders in business and have a thriving knowledge economy; our skills market is growing and the city offers numerous opportunities for work and investment. We are also a proudly inclusive city, welcoming all who can join us in our vision to create a safe, sustainable, vibrant urban environment for generations to come. The BPO industry is the lead contributor of job growth in Cape Town. Cape Town is the digitech hub of Africa and has a disproportionately high share of the country’s tech start-ups. Cape Town is an internationally competitive film and media destination. Cape Town attracts tourists from across the globe, thanks to the appeal of its natural beauty, vibrant culture and ease of access to key tourist sites. Agr-business leads regional exports, second only to the petroleum sector, and lies at the heart of the region’s ability to drive economic development. Cape Town is home to a large proportion of private investment and asset management services companies. Cape Town is home to a thriving green economy and the city’s Atlantis Greentech Special Economic Zone offers opportunities. Ideally located to serve as a manufacturing hub. A Cape Town company is innovatively using the skills and production of a business, that traditionally services the fossil fuel industry, to build renewable energy products. SustainPower has partnered with a Cape Town-based Unique Group, a company that provides saturation dive support vessels to the fossil fuel industry, to build their renewable energy products. Vice President of Worldwide Commercial Sales and Business Development at Amazon, Mike Clayville. Bev Wynne, executive producer at Gatehouse Commercials. John Chapman, director of the Rabie Property Group, developers of Century City. Tasso Evangelinos, chief executive of the Central City Improvement District. Irene Ochem, Founder & CEO, Africa Women Innovation and Entrepreneurship Forum (AWIEF).